Trainer Bob Baffert will send a pair of sophomores to Sunland Park for that track's biggest day of racing this Sunday, with two-time graded winner Mucho Gusto heading to the G3 Sunland Derby and Grade 1 winner Chasing Yesterday, the half-sister to American Pharoah, taking aim on the Sunland Park Oaks. Both 3-year-olds breezed Monday morning at Santa Anita Park. Mucho Gusto (Mucho Macho Man), ridden by Joe Talamo, went six furlongs in company with Dr. Dorr in 1:13.40. “He looked great. 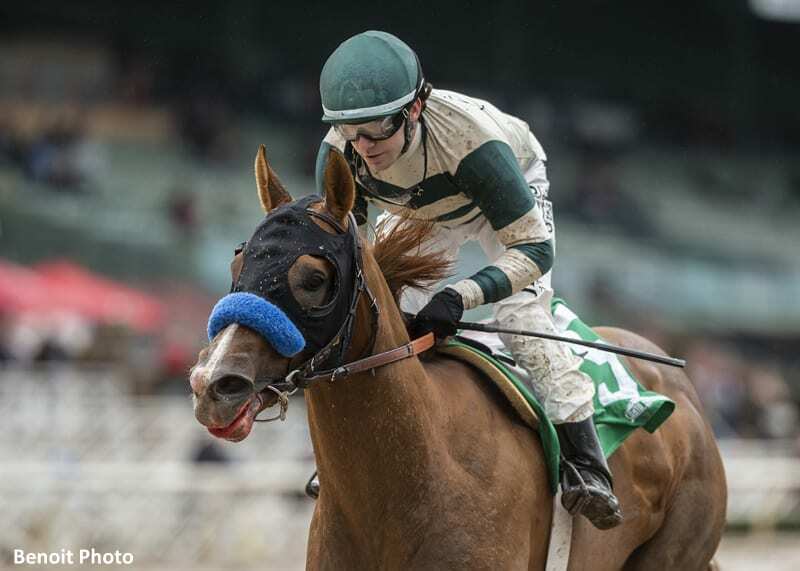 He's going into (the Sunland Derby) the right way,” Baffert told drf.com. Mucho Gusto drew the inside post for the nine-furlong Sunland Derby and is the 8-5 morning-line choice in a field of 10. The Sunland Derby offers the winner 50 points on the Road to the Kentucky Derby. Chasing Yesterday (Tapit) went five furlongs solo on Monday at Santa Anita, completing the distance in 1:02.40 under jockey Drayden Van Dyke. She will take on an expected field of eight other 3-year-old fillies, and is the presumptive favorite after the planned scratch of current top choice Bellafina. This entry was posted in NL List, Triple Crown and tagged american pharoah, Bob Baffert, chasing yesterday, drayden van dyke, joe talamo, mucho gusto, road to the kentucky derby, santa anita, Sunland Derby, sunland park, Sunland Park Oaks by Paulick Report Staff. Bookmark the permalink.